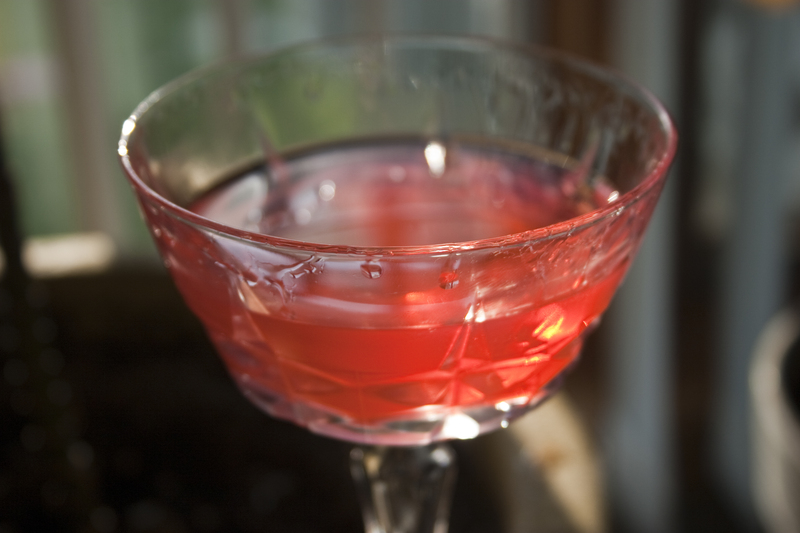 Maiden’s Blush (today’s cocktail) is one of those cocktails that you’re not entirely sure how it got its name. Sure, you could claim it’s the bright pink color brought on by the grenadine. However, this name is deceptive. This is not a soft, delicate drink that would bring color to a young dames’ cheek. This is like hellfire dressed as Teddy Ruxpin. Brutality, sneaking in on the Trojan Horse that is pink. Combine all the ingredients in a cocktail shaker filled with ice. Shake well and then strain into a chilled cocktail glass. Some bitters would balance this drunk in two cocktail a bit. I’m thinking Bittercube Bolivar.